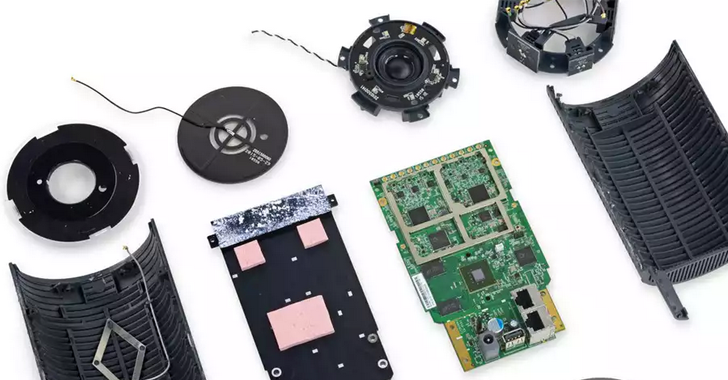 Are you intrigued with the idea of disassembling things and making them work your ways? Then you’ll find this coverage to be one of its kind! 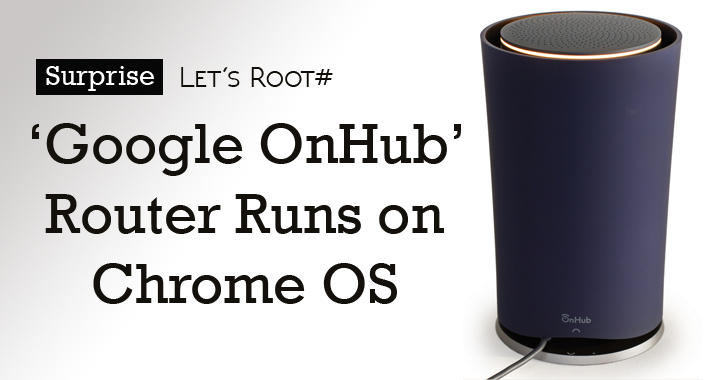 Google OnHub Router runs ChromiumOS (Chrome OS), the same Linux-based operating system that powers Google Chromebook laptops and desktops. A Group of researchers has revealed that Google OnHub Router is actually a modified Chromebook in Cylindrical form and without screen. OnHub is a modern dual-band wireless router, designed by Google and TP-Link, operates networks on both the 2.4GHz & 5GHz frequency bands simultaneously and offers the speed of up to 1900 Mbps. Unlike traditional Broadband Routers, Google OnHub is designed to support "The Internet of Things" as well as other Smart devices, including Smartphones, Connected TVs and Computers. A Team of Modders at Exploitee.rs, also famous as GTVHacker, have successfully managed to root Google OnHub device, in the same way, they would with a Chromebook. ...And as an outcome of their reverse engineering on eMMC and the SPI flash dumps, the team discovered that the OnHub Router router runs something very similar to Google Chrome OS. “The Google OnHub is at heart a Chromebook without a screen modified as a router, and our root method is just a modified version of booting Developer Mode,” Exploitee.rs team said in a blog post. The Exploitee.rs group of hackers is famous for hacking Google TV and publishing many tools-exploits for other hardware. This time, they have gained the root access of Google OnHub device by running a modified version of “Booting” into the Developer mode. But, do you know... how they got access to the “Developer mode”? Interestingly, it turns out that the Router contains a “Hidden Switch”, covered with a screw on the bottom plate of the cylindrical device and after enabling it they just landed in the developer mode. The Developer mode allows full control and unrestricted access to Chromebook, so you can do whatever you wanted to do. To check out “How they did it?”, you can watch the following 21-minutes long video and visit their in-depth explanation blog post. The process will allow you to overwrite the existing firmware on the Google OnHub by enabling Developer Mode and booting from an unsigned USB image. The rooting method is a modified version of booting Chromebook in developer mode. repurpose OnHub router as a cheap ($200) Chrome OS desktop. Just like other devices, “rooting” opens a device up to security risks that can compromise sensitive data. No matter how many advantages there might be in rooting a device, there's no getting around the fact that a rooted device is always more vulnerable.